Get ready to work! This full body routine is designed to be super efficient. It will help to improve strength, build lean muscle, and burn fat simultaneously. 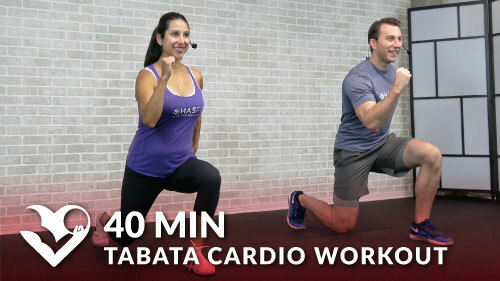 The 30 minute HIIT workout with weights is performed tabata style. That means you’ll be doing 4 rounds of each exercise, 20 seconds of work followed by 10 seconds of rest. Let’s burn it out!